The tutorial was prepared with our "CentOS 7" template and is meant to work on our self-managed virtual private servers. Removed Apache (yum remove httpd -y). NOTE: do not forget to change server-hostname with your server hostname. 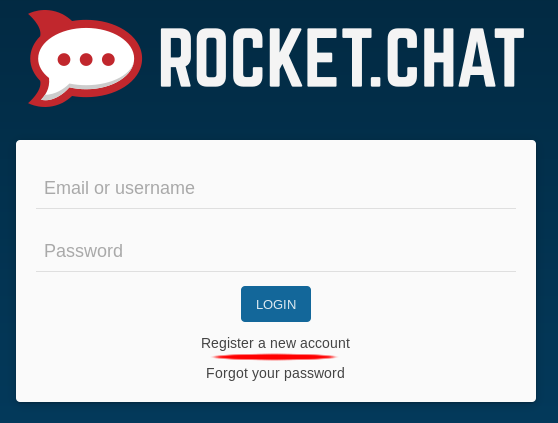 I did all steps and the Rocketchat service is active (running). I also changed the hostname but on my domain I only see the Apache test website. Any ideas? Make sure you have removed Apache (step 0). Also in step 3 server-hostname should be the domain you are going to use. Yes, I overlooked step 0. Thank you for your very fast response! Can you explain how to add TLS (using Certbot / Let's Encrypt) for this tutorial?